What Animals Are the Most Poisonous Toward Humans? Many people mix up the terms "venomous" and "poisonous." An organism that injects its predators or prey with toxins is considered venomous. A poisonous organism defends itself with toxins that only work if another animal eats it. While the majority of the world's most toxic animals are venomous, some are poisonous. 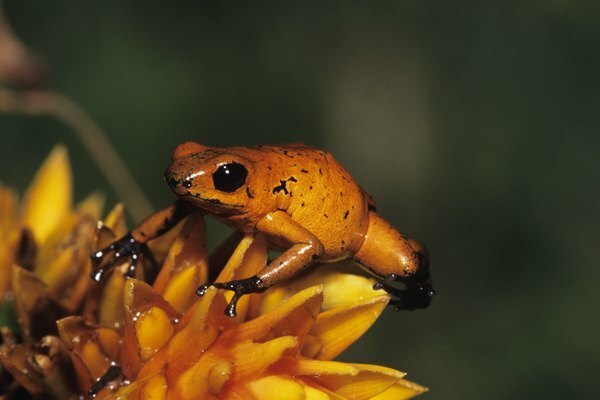 The golden poison dart frog (Phyllobates terribilis) has some of the most potent poison known. This 2-inch frog has a powerful enough venom to kill about 10 adult males. National Geographic considers it one of the most toxic animals on Earth. It uses this venom, and bright coloration, to avoid predators. Indigenous peoples in the frog's range have learned how to extract the frog's venom and use it for hunting -- this gives dart frogs their name. Species with similar venom also exist in various South American jungles. The pufferfish are a family of fresh and saltwater fish that can "puff" their bodies up with water to appear larger to predators. 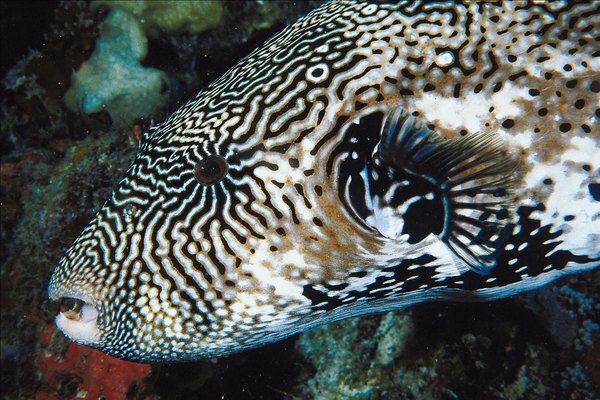 As a backup, many species of pufferfish carry a potent poison called tetrodotoxin. This compound is about 1,2000 times more poisonous than cyanide. The average pufferfish carries enough poison to kill about 30 adult humans. It's believed that pufferfish get their poison from their food, various shellfish that in turn get the toxin from certain bacteria. Pacific newts of the genus Taricha are the only poisonous salamanders. 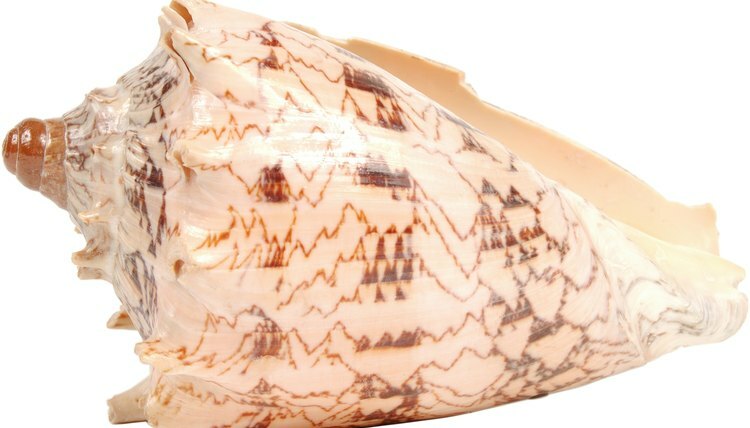 These species live in the Pacific Northwest, including parts of the U.S. and Canada. They are very poisonous, and actually contain the same toxin as the pufferfish. 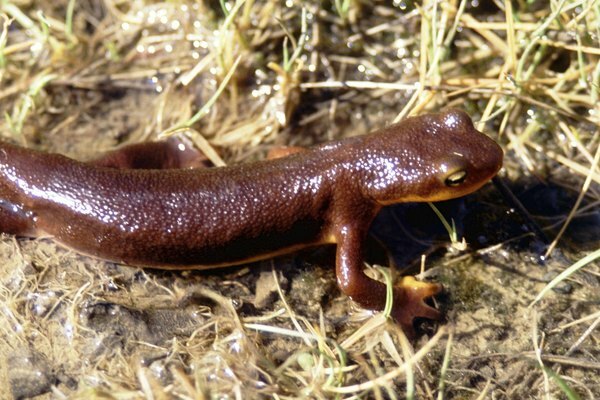 In the case of these newts, the poison is so potent that it can sicken or even kill a person by contact with broken skin or the mucous membranes. These newts have brown or black bodies with colorful red or orange underbellies. 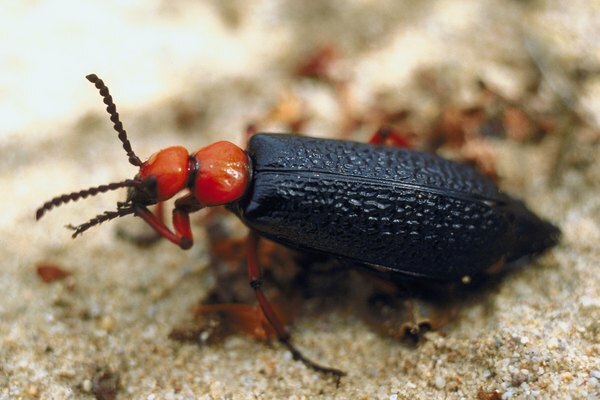 Blister beetles are so poisonous they can actually cause a painful blister with skin contact alone. However, horses and other large mammals sometimes eat them by accident, demonstrating how poisonous these beetles are -- it takes as few as two beetles to kill a large horse. Fortunately, humans very rarely eat these beetles.